I read this article and found it very interesting, thought it might be something for you. 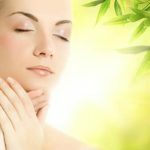 The article is called Organic Skin Care Advice and is located at https://homemademasks.net/homemade-beauty-treatments/organic-skin-care/. Why spend a fortune on products when you can make your own organic skin care products. Cheap, healthy and natural masks that really work! Browse our site and see our huge selection of hair and face masks that you can make yourself at home. This means you know exactly what is in the mask — ensuring it is fresh, natural and healthy. Best of all you get great results for a fraction of the price of shop-bought treatments. Roll up your sleeves, dig out your blender, and raid your larder and fruit bowl today. You and your bank balance won’t regret it! Great information, organic skin products are excellent, natural and free of additives and preservatives that in fact could probably harm your skin. It’s a pity you don’t have a donate button! I’d most certainly donate to this superb blog! I suppose for now i’ll settle for book-marking and adding your RSS feed to my Google account.